User Defined Resources Provide Effective Management of Resources that Directly Impact Your Cost of Goods Sold and Your Profitability. User defined resources are the individual items and services that make up the cost of goods sold, and are instrumental in the growth and delivery of your product. 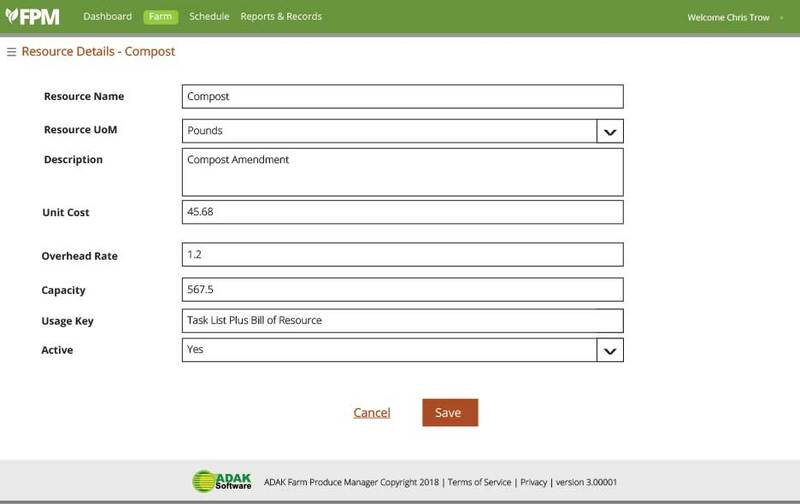 Farm Production Manager allows you to enter and view the planned usage of the resources involved in your production workflow. With Farm Production Manager, you can create and assign any resource to your products while having granular control over units of measure, classes, costs, descriptions and much more. Easily and efficiently assign, review, and report on resources related to your products.